Supercars will release its 2017 calendar after next week's Wilson Security Sandown 500. Chief Executive James Warburton said: "We have made an effort to release the Draft Calendar before Sandown each year, but we are still finalising a number of agreements as well as still waiting on confirmation of dates for next year's Australian Grand Prix in Melbourne which obviously has a material effect on the early part of the season. 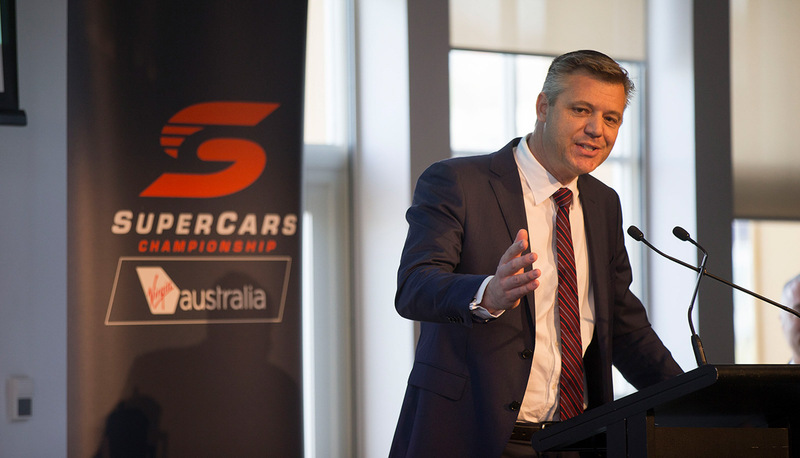 "Once we have these dates and finalise other sanction agreements we will release the full calendar for our teams and fans before the Supercheap Auto Bathurst 1000. “Our plans to expand in Asia are taking shape, but as we have said many times it will not be at the expense of local events which are crucial for our fans. In Asia it is about getting it right and making sure our events are enduring and not one-offs. We now have three long-term contracts in place including Kuala Lumpur but the new signings don’t commence before 2018 and the legal situation in KL means that race will be delayed again in 2017. We are also excited to hopefully welcome Tailem Bend in South Australia to the Calendar in 2018. The 2017 Virgin Australia Supercars Championship will begin with the Clipsal Adelaide 500 from 2-5 March, and feature 15 events across 37 weeks.